It is well known that the presynaptic neuron and the postsynaptic neuron are separated from each other by a small gap called synaptic cleft, which is a physical barrier for the electrical signal carried by one neuron to be transferred to another neuron. Neurotransmission is defined as communication between one neuron to another as accomplished by the movement of chemicals or electrical signals across a synapse. The function of neurotransmitter is to link the action potential of one neuron to another. Neurotransmission involves the release neurotransmitter, binding of neurotransmitter to its receptor and passage of message from one neuron to another. At the nerve terminal, neurotransmitter containing synaptic vesicle are docked at specific area of presynaptic plasma membrane called active zone. After maturation and priming, in response to action potential, neurotransmitter containing vesicles undergo Ca2+-triggered exocytotic fusion to release neurotransmitters . The neurotransmitter release mediates communication among neurons and this communication underlies virtually all brain functions, from sensory perception to learning and memory. In order to avoid depletion of synaptic vesicles and interruption of neurotransmitter, vesicles are reinternalized through endocytosis, recycled, and refilled with neurotransmitters in a rapid and precise manner. At the molecular level, interactions of neurotransmitter with neurotransmitter receptors result in enhancement of glycerophospholipid metabolism, which not only regulates the activities of receptors, membrane bound enzymes, ion-channels, and transporters, but also modulates many physicochemical properties of neural membranes such as fluidity, lateral pressure profile, bilayer thickness, and permeability [2-5]. Most of these processes are mediated by polyunsaturated fatty acids, which are exclusively esterified at the sn-2 position of glycerol moiety in glycerophospholipids [4,6-7]. 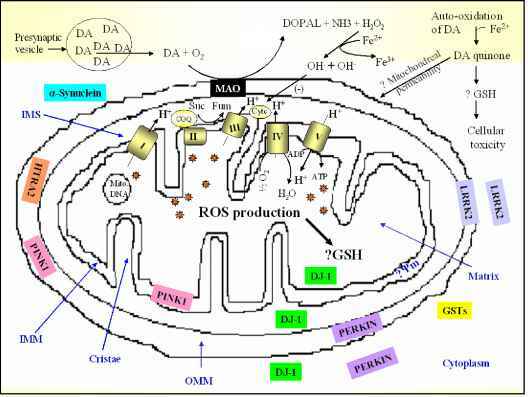 Two major families of polyunsaturated fatty acids, namely n-3 (docosahexaenoic acid, DHA) and n-6 (arachidonic acid, ARA) (Figure 1) are known to occur in neural membrane glycerophospholipids. Because humans do not possess desaturases that insert either the n-3 or the n-6 double bonds, these fatty acids are derived from diet. 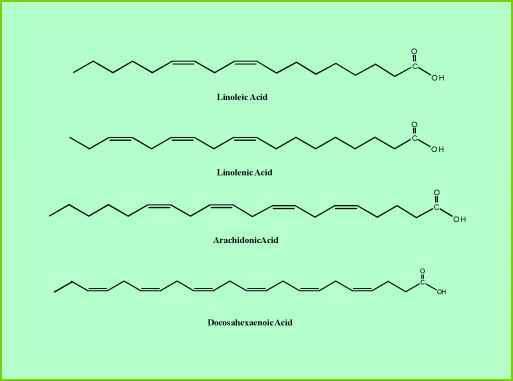 DHA can be obtained from fish or from the precursor a-linolenic acid (ALA), which is found in nuts. ARA is found in vegetable oils (corn, sunflower seeds, safflower seeds, cottonseed, and soybeans), and its common precursor is dietary linoleic acid (LA), which is found in plant sources. Changes in the fatty acid composition of neural membranes affect endocytosis, exocytosis, membrane fusion, neurotransmitter uptake and release, and the activities of membrane-associated enzymes . The purpose of this article is to discuss the modulation of various neurotransmitter receptors including, biogenic amine neurotransmitter receptors, by polyunsaturated fatty acids with the hope that this discussion would initiate more studies on modulation of neurotransmission by fatty acids, but also promote better understanding of therapeutic effects of n-3 fatty acids in neurodegenerative and neuropsychiatric disorders characterized by alterations in neurotransmitters and changes in neural membrane fatty acid composition. Figure 1. Structures of arachidonic and docosahexaenoic acids and their precursors.